Does anyone else find today's prompt oddly specific? Why a flag of all things? The double cross comes originally from the Byzantine Empire, since the Slavs were converted to Orthodox Christianity by Byzantine missionaries Cyril and Methodius (who also invented the ancestor of the Cyrillic alphabet). The blue hills represent three mountain ranges in the region. My mani isn't very exciting, but I wasn't sure how to spice it up! I used Sinful Colors Snow Me White, Revlon Red Carpet, and China Glaze Hanging in the Balance. 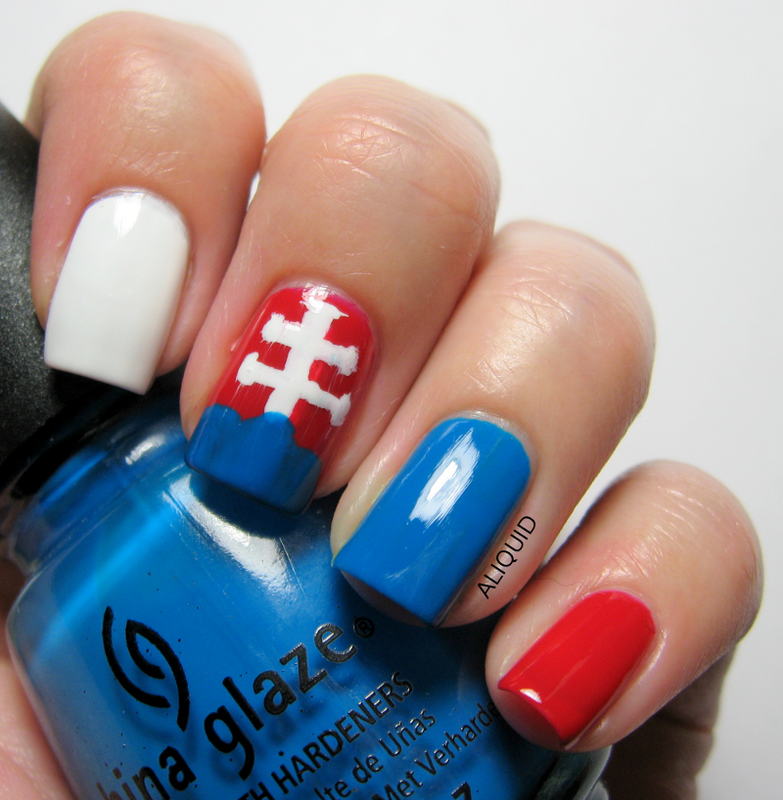 Here are today's other patriotic manis!